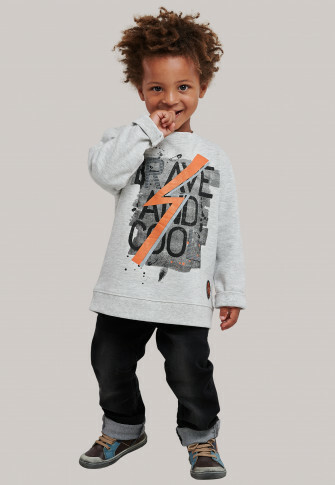 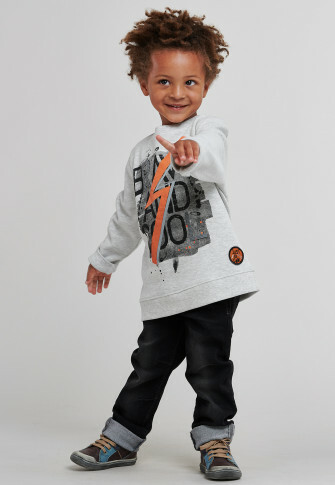 This heather gray boys sweasthirt is just right for all mini rebels! 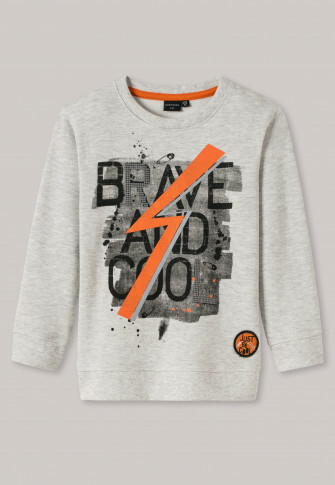 The large "BRAVE AND COOL" print with its orange arrow attracts all eyes and is perfectly framed with the wide ribbed cuffs at the ends. 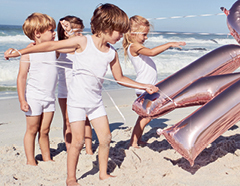 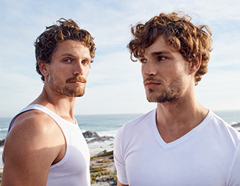 The material is wonderfully soft and guarantees every adventure - of course in best SCHIESSER quality!